Debate Rages in Peru: Was a Lost City Ever Lost? CUSCO, Peru -- From the postcards bearing his swashbuckling, fedora-topped image to the luxury train emblazoned with his name that runs to the foot of the mountain redoubt of Machu Picchu, reminders are ubiquitous here of Hiram Bingham, the Yale explorer long credited with revealing the so-called Lost City of the Incas to the outside world almost a century ago. But in recent months, a confluence of contrary events has threatened to upend the legacy of Mr. Bingham, the ostensible model for the fictional Indiana Jones. Peru has threatened legal action against Yale to recover thousands of artifacts Mr. Bingham removed. Evidence has emerged suggesting that a German adventurer may have arrived there first. And a dispute has been grinding on over who owned the site when Mr. Bingham supposedly discovered it. Scholarly circles in Peru have been abuzz with revisionist debate. Not only may Mr. Bingham not be quite the heroic pioneer that he has been portrayed as, but it may well be that the Lost City of the Incas was never really lost after all. The disputes over who discovered or rediscovered the sacred site have become so contentious they have been living up to the phrase "the fights of Machu Picchu," coined by the American writer Daniel Buck in an allusion to a Pablo Neruda ode, "Heights of Machu Picchu." 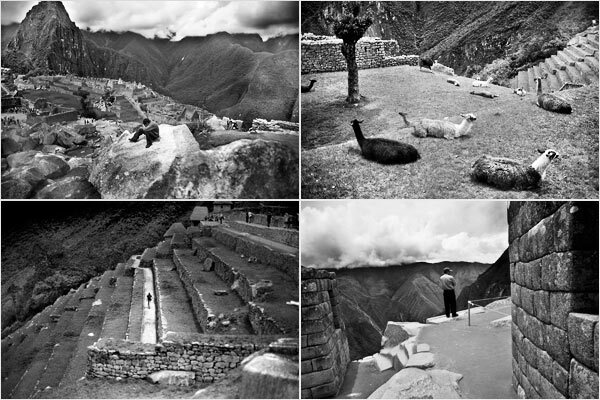 No one in the field of Machu Picchu studies seriously challenges the fact that Mr. Bingham arrived at the jungle-shrouded ruins in 1911, excavated and photographed them, and largely introduced them to the world. But his claims have been challenged over time. "Hiram Bingham never thought someone would doggedly investigate his path," said Mariana Mould de Pease, a Peruvian historian. Soon after Mr. Bingham led his expeditions to Machu Picchu, claims surfaced that a British missionary, Thomas Payne, and a German engineer, J. M. von Hassel, had beaten him there. 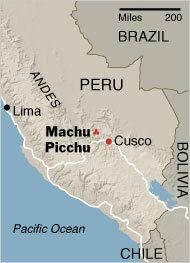 And maps found by historians show references to Machu Picchu as early as 1874. The latest challenge comes from recently publicized claims raising the possibility that a German adventurer arrived at Machu Picchu and looted it decades before Mr. Bingham even set foot in Peru. Records show that the German, Augusto R. Berns, purchased land in the 1860s opposite the Machu Picchu mountain, built a sawmill on his property and then tried to raise money from investors to plunder nearby Incan ruins, all with the blessing of Peru's government. "The Berns information is a matter that has to be investigated further," said Jorge Flores Ochoa, a prominent Peruvian anthropologist. "Hiram Bingham painted himself as a great explorer who ventured to the ends of the Earth, but that was a fantasy. The truth is that others, perhaps many others, arrived at Machu Picchu long before he did." Mr. Berns, an engineer, went to Peru to work on the Southern Peruvian Railway. An article this year in the magazine South American Explorer by Paolo Greer, an Alaska-based cartographer, offered additional detail on Mr. Berns, showing how he stopped cutting railroad ties on his property in the 1880s and started trying to lure investors into ventures for prospecting the area for gold and silver. "Berns's mining claims proved worthless," Mr. Greer said in an e-mail message. "However, he spent years purposely searching for Inca sites, employing local guides who were intimate with the area." Moreover, some scholars say, Mr. Bingham may have known about Mr. Berns's activities. Ms. Mould de Pease said she found in Yale's own archives an 1887 Peruvian government document authorizing Mr. Berns to remove treasure from areas that may have included Machu Picchu. She reported the find in a 2003 book. "If this document was in Bingham's own papers, then he knew that Berns could have arrived there first," she said. Others scoff at the possibility that Mr. Berns set foot on Machu Picchu, pointing to discrepancies in the richly worded prospectuses that he sent out to investors. In one document Mr. Berns referred to an "ancient gold-washing apparatus" called "llamajcansha," which "in the ancient Indian languages, means 'gold yard.' "
"It is unlikely that readers of his prospectus in the United States spoke Quechua," Mr. Buck wrote in an essay published in the Lima newspaper La República, referring to the indigenous language spoken in this part of Peru. "Otherwise they would have figured out that llamajcansha meant 'llama yard.' "
Mr. Buck added, "Berns was selling a load of llama dung." Skeptics also say that no substantive proof has emerged that Mr. Berns ever spirited away artifacts from Machu Picchu. Meanwhile, in an effort to assert greater control over its cultural heritage, Peru's government said last month that it would take legal action against Yale in an effort to secure the return of thousands of artifacts Mr. Bingham took to the university. Peru claims the artifacts had been lent to Yale and therefore should have been returned. The threat of legal action is an abrupt turnaround from a recent preliminary understanding between Yale and Peru that appeared to put the parties on the road to resolving the dispute. Both sides in the case have seized on the revelations about Mr. Berns as supporting evidence. An aide to Cecilia Bákula, director of the National Institute of Culture in Lima, which manages the Machu Picchu site, said she was unavailable for comment. But in the view of Ms. Mould de Pease, the historian, the authorization given to Mr. Berns shows that Peru had sovereignty over Machu Picchu before Mr. Bingham arrived there. For Yale, revelations that an earlier adventurer had designs on Incan ruins may reinforce its view that the items removed by Mr. Bingham are neither unique treasures nor critically important artifacts. "It is quite possible that all the treasures were removed by the German, Augusto Berns, many years before Bingham arrived," said R. Scott Greathead, a lawyer representing Yale. Complicating matters further, property records indicate that tracts of land including Machu Picchu were repeatedly bought and sold by families in the Cusco area before Mr. Bingham arrived. "My great-grandfather, Mariano Ignacio Ferro, owned Machu Picchu when Hiram Bingham claimed to have discovered it, and even helped the American find his way there," said Roxana Abrill Nuñez, a museum curator in Cusco who is waging a high-profile legal battle to be compensated for her family's loss of Machu Picchu. She claims that the state expropriated the site from her family without payment. For others here in Cusco, the actions of a German once forgotten to history offer insight into a city that may have been lost and found repeatedly since the Incas abandoned it, even if it took Mr. Bingham's work to lodge it in the public imagination. "All I know is that anything was possible in the turbulent years before Bingham made it to Machu Picchu, with others probably arriving even before this German," said David Ugarte Vega, an anthropologist at the National University of San Antonio Abad in Cusco. "What is certain is that the image of Bingham is at last being challenged," Mr. Ugarte Vega said, "while the descendants of those great builders who assembled Machu Picchu are working as porters for the newest wave of travelers who come to see the site from afar."